Whether you are a seasoned herder or are just getting started in herding, these original herding picture frames show your dog has what it takes to herd sheep, ducks, cattle or all kinds of livestock! 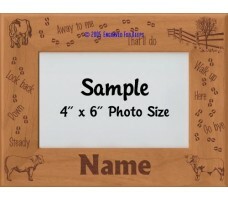 Keeping true to the rules of herding, even the tracks on the frames follow the directions of the herding commands. 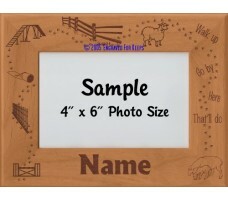 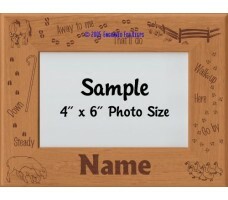 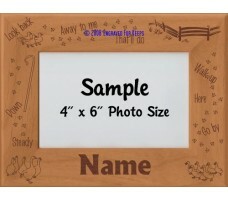 These frames make great Judges Gifts as well as AHBA and AKC Herding Trial awards!